Когда товар "Прогулянка по Закарпаттю. Путівник. A trip through Transcarpathia. Guidebook" появится на складе, Вам придет уведомление. 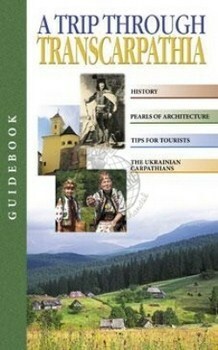 This handbook is a good guide to Transcarpathian museums and national parks, unique architectural ensembles and monuments; it will tell you about local customs and traditions. Detailed maps will help you orient yourself in an unknown city,and find the most interesting structures. The fascinating story of Transcarpathia is accompanied with some 500 colourful illustrations - both present-day and those museum archives and private collections.